Understand how your users REALLY experience your mobile app, focus on what matters the most to your users. FunDex delivers a unique mobile user experience benchmark index. It's an easy-to-understand score that takes into account each negative application occurrence such as crashes and slow actions. 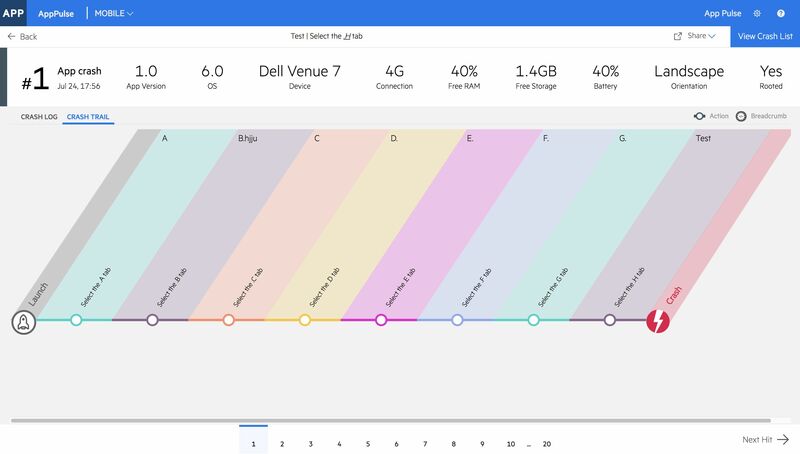 Combining all of the key data points provides you with a great way to determine where you can improve performance and how happy your users are with your mobile application. Detailed data and crash analytics provide you the information needed to improve your application stability and avoid crashes in the future.From the action users performed to the OS version used, all you have left to do is to make sure it gets fixed. Trace transactions across distributed application tiers to show end-to-end transaction flows. See code-level detail for every user interaction, including time spent in methods and SQL statements and exceptions. Implementing AppPulse Mobile is an extremely simple process. You don't need to change code or add any tags so your release cycles can stay on track. The first-ever user experience score for mobile apps that gives you a top-level view of issues that negatively impact the user experience. Know the number of users with crashes and the user actions with errors. Get detailed information like crash logs so developers can fix the problem. Automatically captures all the user actions prior to the crash. Follow the user journey through the funnel of user interactions. Know where they exited or abandoned the app. 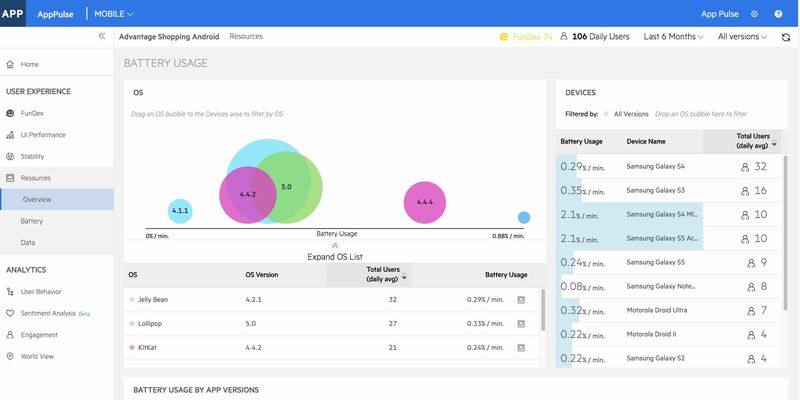 Measure the percentage of battery life consumed per minute of app usage, by device type and app version. 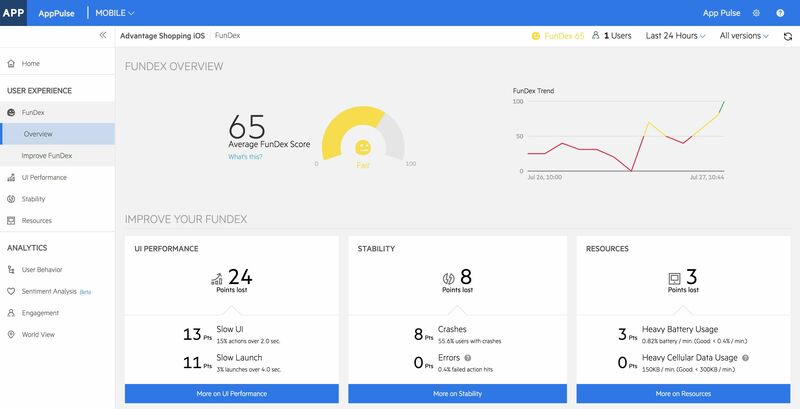 Using the FunDex scoring system will allow our team to quickly get to problematic areas and improve the adoption of our app. AppPulse Mobile assisted us in identifying performance concerns early in development, saving us costs, and is now part of our build process to improve overall quality. See how Banco Santander boosted mobile customer engagement by using AppPulse Mobile and TSOFT Professional Services. We're ready too! AppPulse Mobile is going to re-define mobile user experience and you can be a part of it!